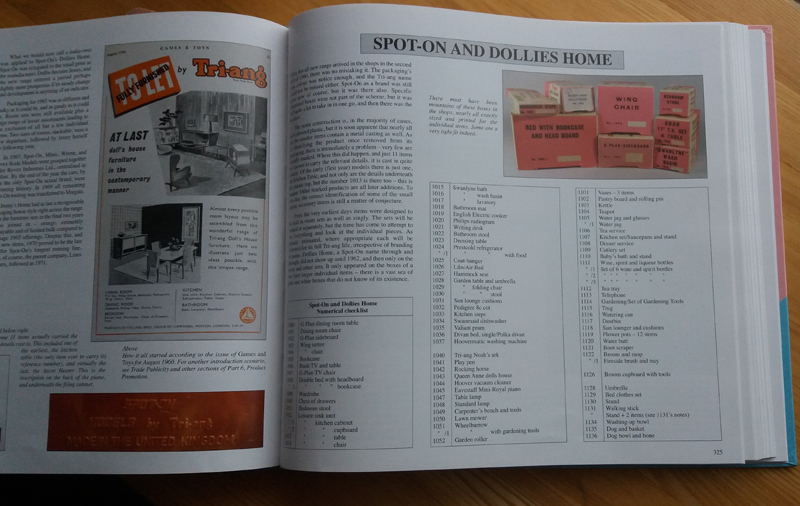 The Ultimate Book of SPOT-ON Models Ltd. This book covers all aspects of Spot On Models, die cast vehicles, and related roadways, garages and buildings. There are sections on Architex, model construction system, Magicar, Funfair and Taik-Trak. 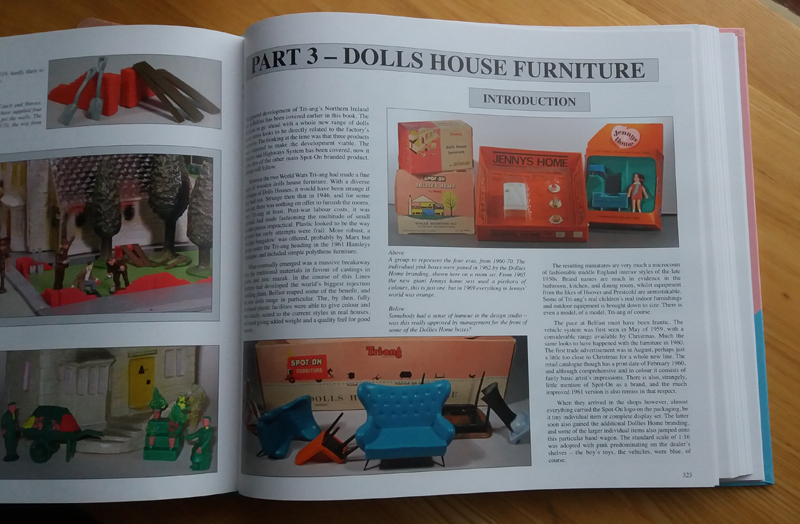 The section on Doll’s House Furniture, over 50 pages, covers Dollies Home and Jennys Home. 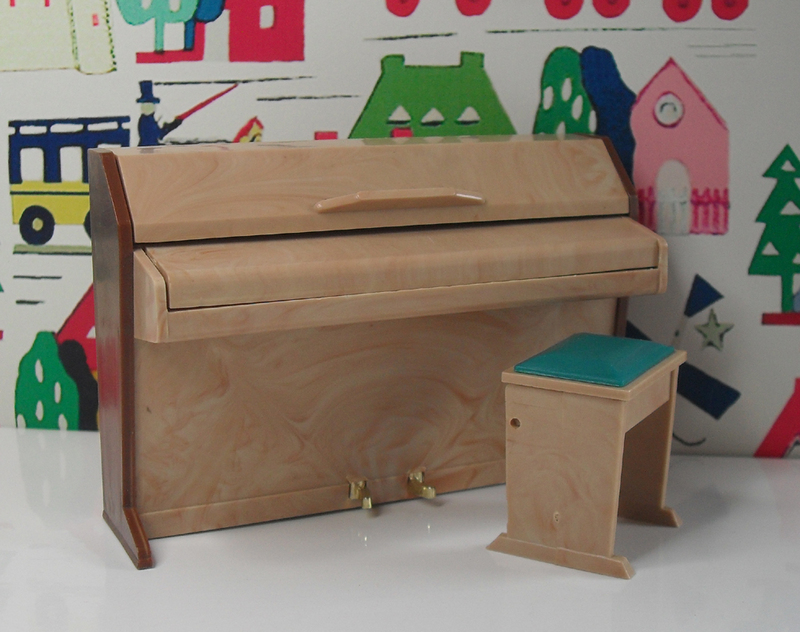 Each piece of furniture has a comprehensive description and illustrations, with details of how each item was updated or replaced. It is interesting to see how the packaging changed throughout the years. 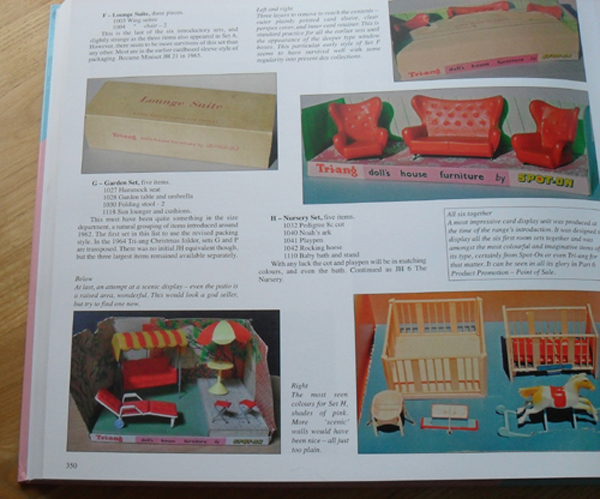 Love the advert on the left hand page, it states – ‘Almost every possible room layout may be assembled from this wonderful range of Tri-ang Doll’s House furniture. Here we illustrate just two ideas possible with this unique range’. 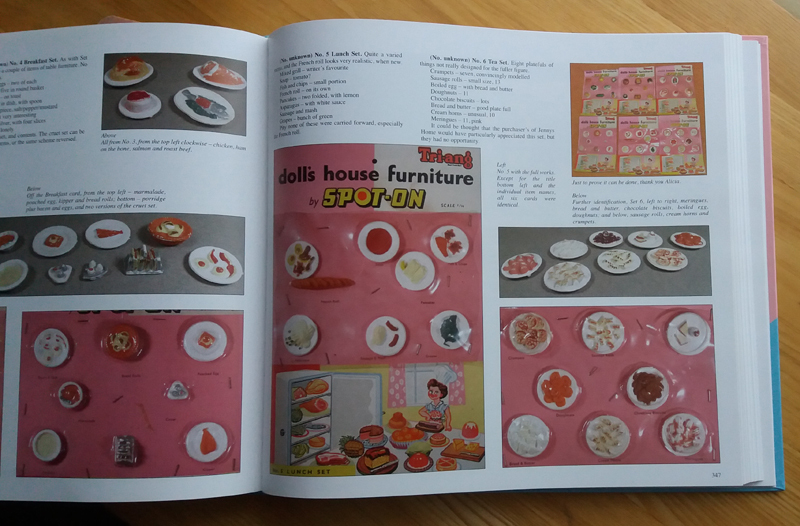 The pictures on these pages make it very easy to identify Spot On food, as each pack is in mint condition with clear pictures. 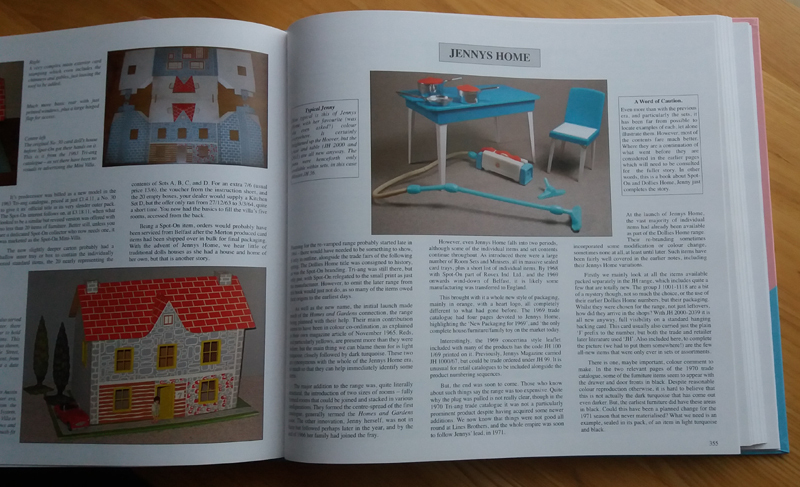 This page shows a picture of my Triang Garden Furniture. 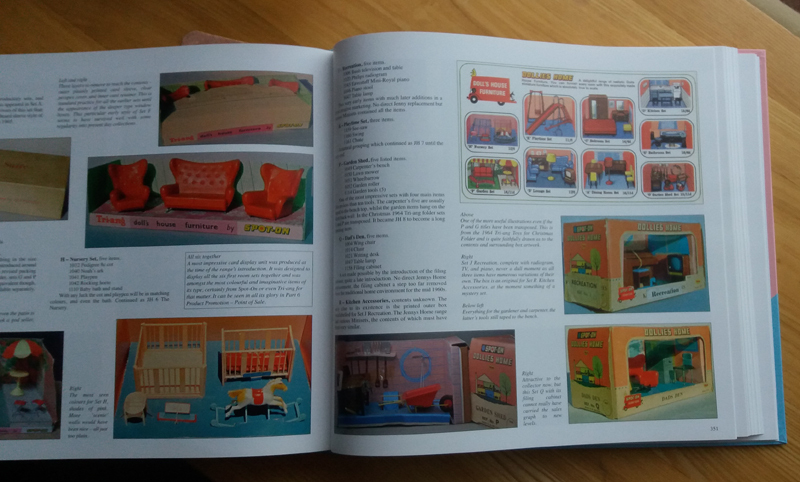 This is a good size book measuring 29.5 x 27 cm, with 492 pages, containing lots of detailed pictures. 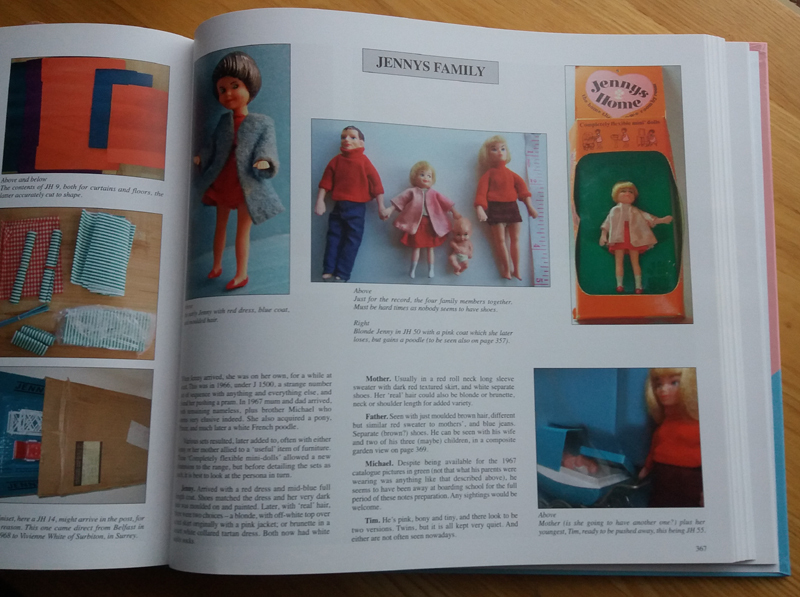 There is a list of the Jennys Home box sets, and their contents. 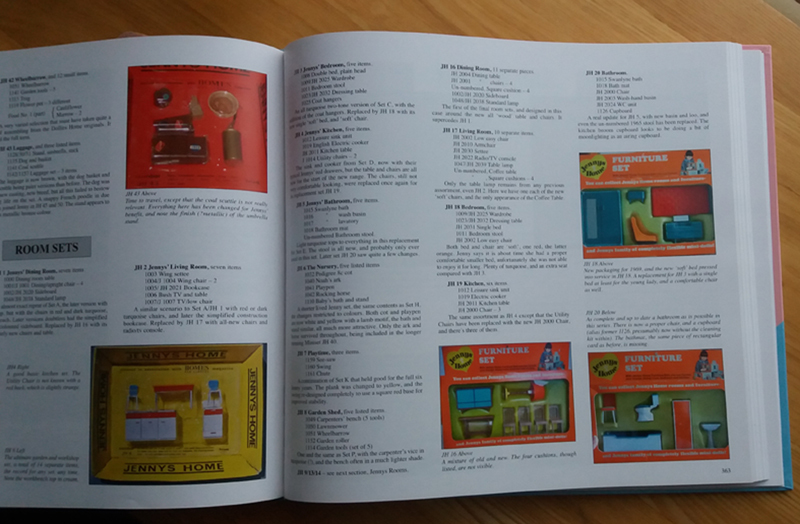 At the end of the book there is a section about Product Promotion, which is very interesting. This book a must for all collectors.